Added. Glad to see that this was just a small change unlike GLâ€™s other films. So sorry for this VERY late reply as I had been away from my PC for a month with only my mobile phone and then had been very busy with other things afterwards. 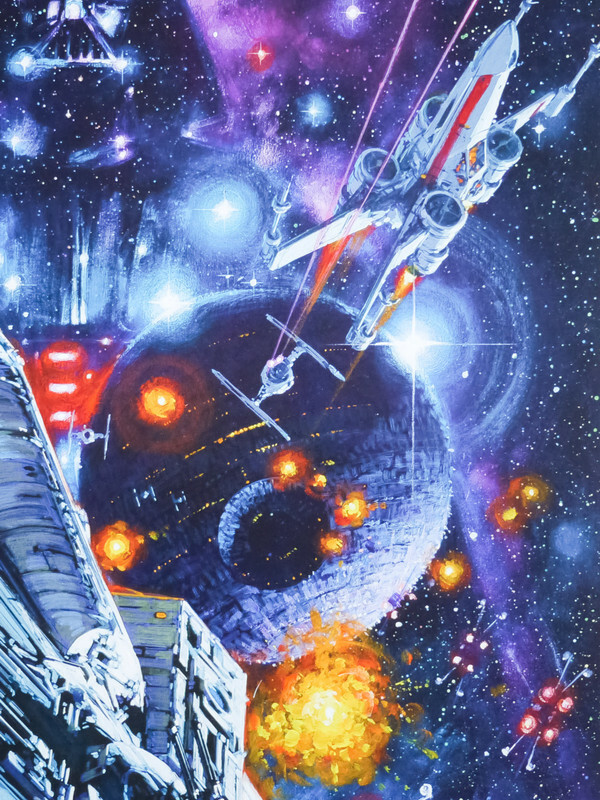 But all thatâ€™s been taken care of to where I can now put my full attention to this thread and will immediately respond to all posts with upcoming updates soon. The theatrical cut of â€œBlood Simpleâ€� was released on VHS (I would assume it was on laser disc but not sure). 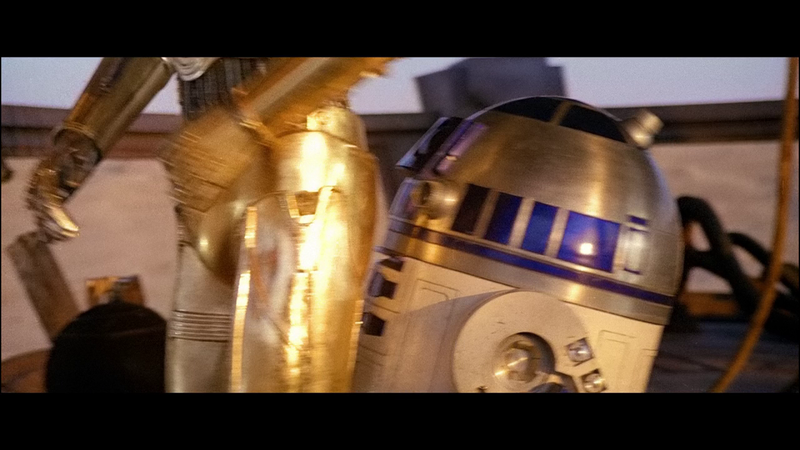 There was a DVD in R2 which restored some of the cut footage, but not all. Wes Cravenâ€™s (terrible) â€œChillerâ€� was released on a DVD which looked transferred from a VHS and was heavily cut. 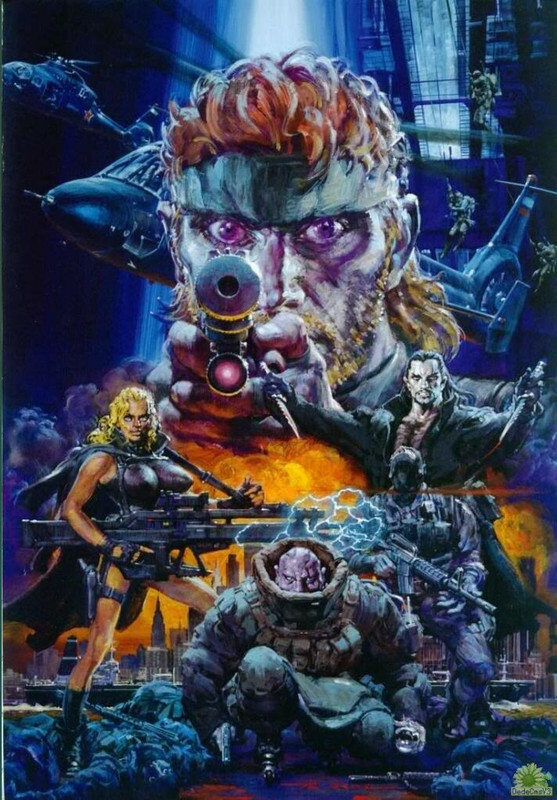 There was a German VHS release which was longer, though possibly still not uncut. 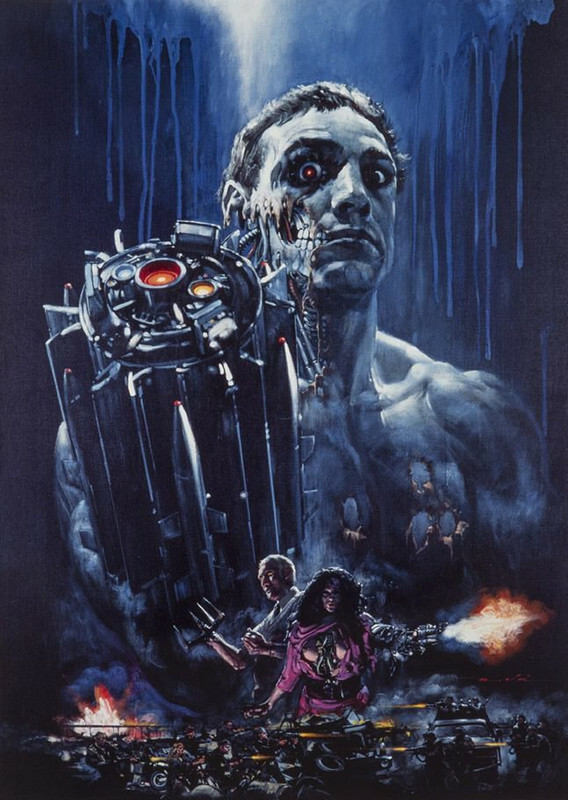 The original runtime of Chiller (1985) is 95 minutes. 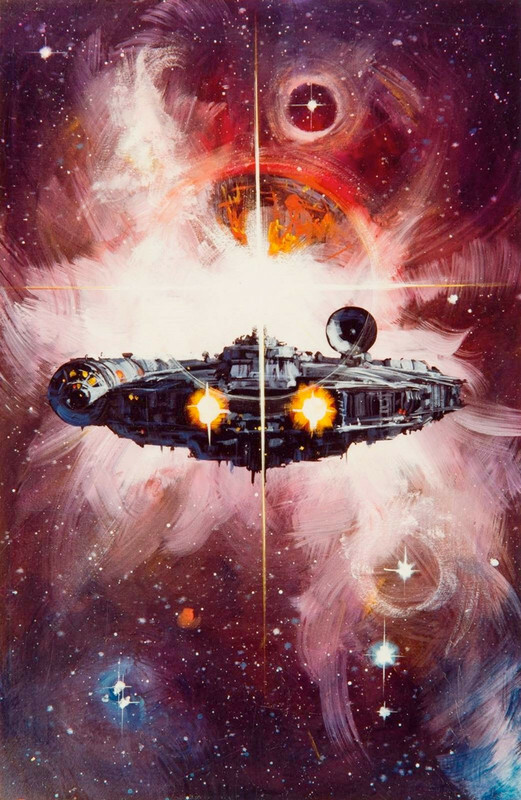 Besides the VHS, the only DVD release with this runtime is the R2 German united Video DVD release and while itâ€™s the uncut longer version, it unfortunately only has German audio. â€œHearts of Darknessâ€�, the documentary of the making of â€œApocalypse Nowâ€�, supposedly had a few small cuts made before Coppola would allow it to be released on DVD. The only specific references I have seen are that one reference to Harvey Keitel was cut, and Coppola singing â€œAnything Goesâ€�. 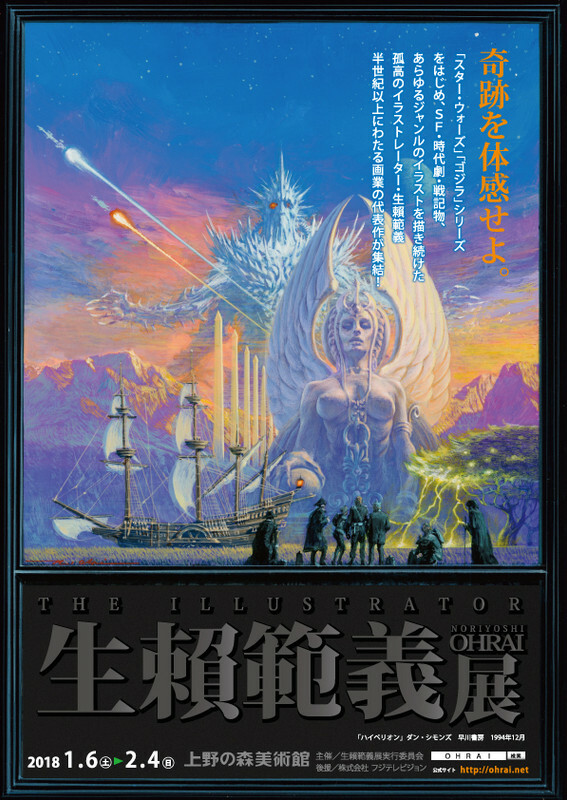 Iâ€™m hoping other people know more about this one. â€œIshtarâ€� might count â€“ itâ€™s only ever been officially released on DVD/Blu as a slightly shortened directorâ€™s cut, but technically the theatrical cut was pressed and a few copies trickled out even though the release was cancelled before the official release date. 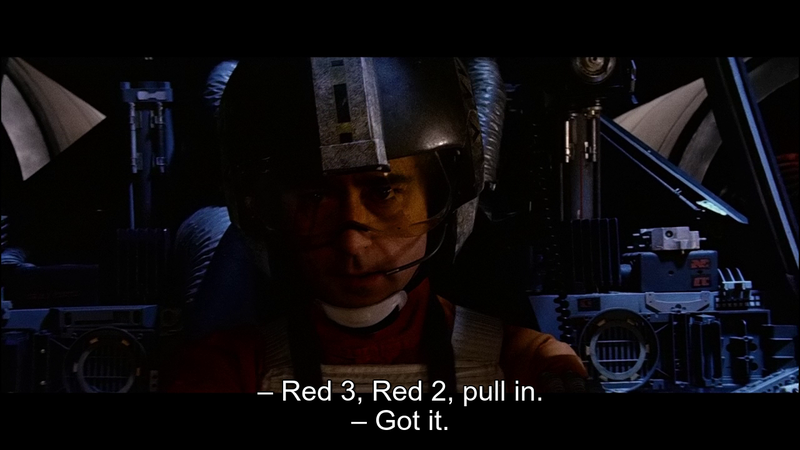 The shortened Directorâ€™s cut was only released on Blu-ray while the full Theatrical cut was released on R2 DVD so it wouldnâ€™t count. 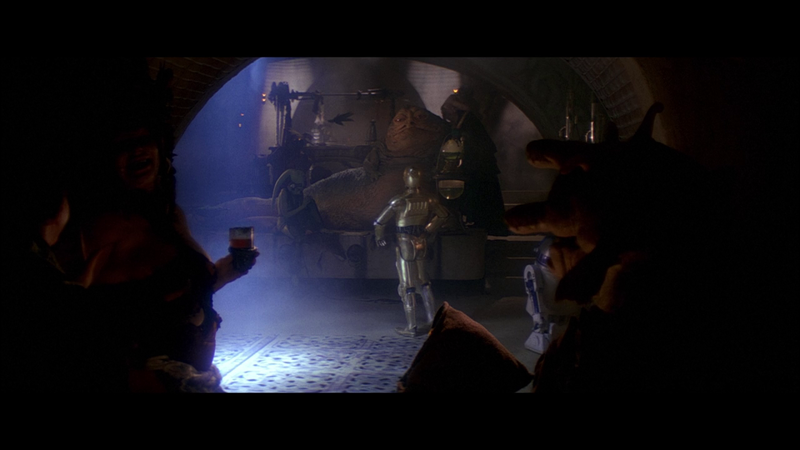 â€œThe Muppet Movieâ€� had a longer theatrical cut in the UK, released on VHS and nowhere else. Added. 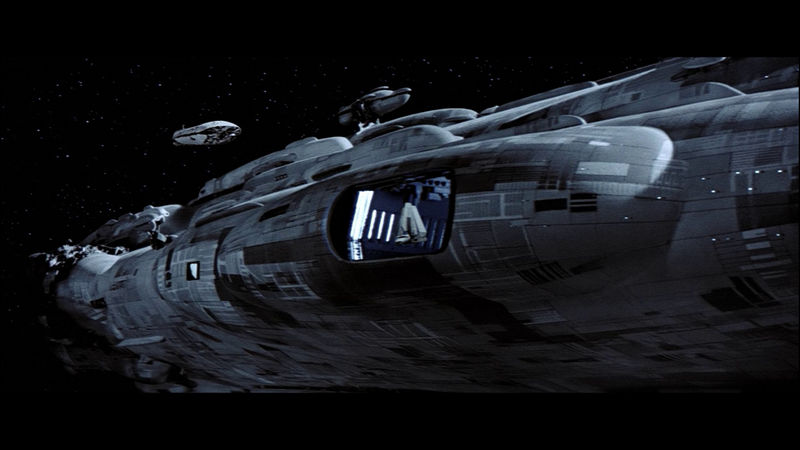 Thereâ€™s also a Laserdisc version. William Friedkinâ€™s â€œRampageâ€� has never been released on DVD in region 1; the European version has had a DVD release, but the US cut is significantly different â€“ I donâ€™t know the differences, but Iâ€™m sure thereâ€™s some extra footage to qualify for this list. 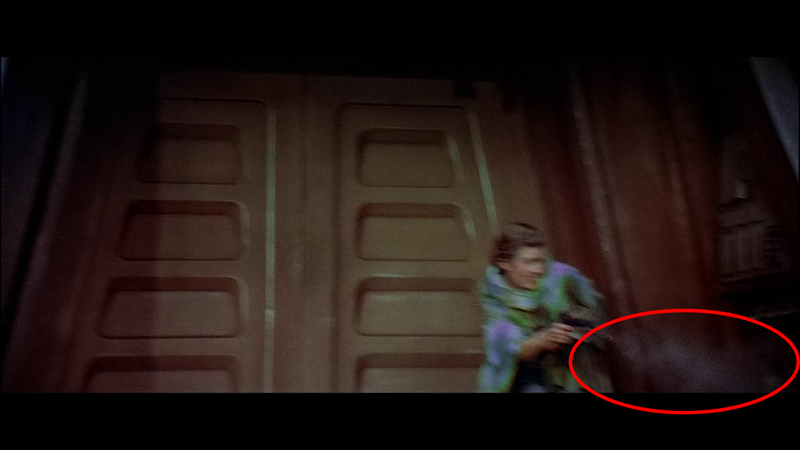 It was released on VHS, not sure of the LD status. The US cut definitely qualifies. Iâ€™m currently working on a comparison right now with the original/european version. It will be added soon. 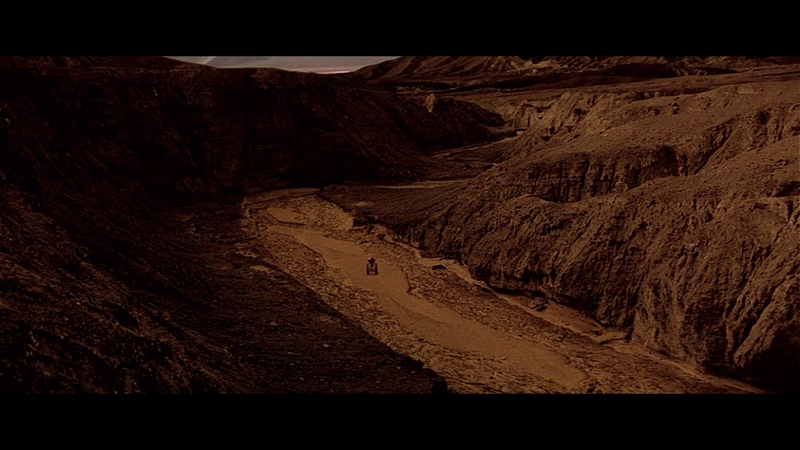 Oliver Stoneâ€™s â€œSeizureâ€� - DVD and Blu are the US PG cut, but there was a longer â€œR-ratedâ€� cut. There is a German VHS release, but according to movie-censorship.com it is very rare and might not be entirely uncut, though it seems like all they have to reference the what is missing. The unrated cut of Spike Leeâ€™s â€œSheâ€™s Gotta Have Itâ€� was only ever released on a Criterion laserdisc; supposedly, theyâ€™re working on a Bluray of it. Also, the â€œGerman cutâ€� of â€œPsychoâ€� is now being released on Blu-ray in a German box set, and the unrated cut of â€œCandymanâ€� is being released by Shout Factory and Arrow, so those can be removed. Robert Altmanâ€™s â€œCalifornia Splitâ€� was cut for the DVD, but Iâ€™m not sure whether it was ever released in any format prior to that, so I donâ€™t know if that would count. 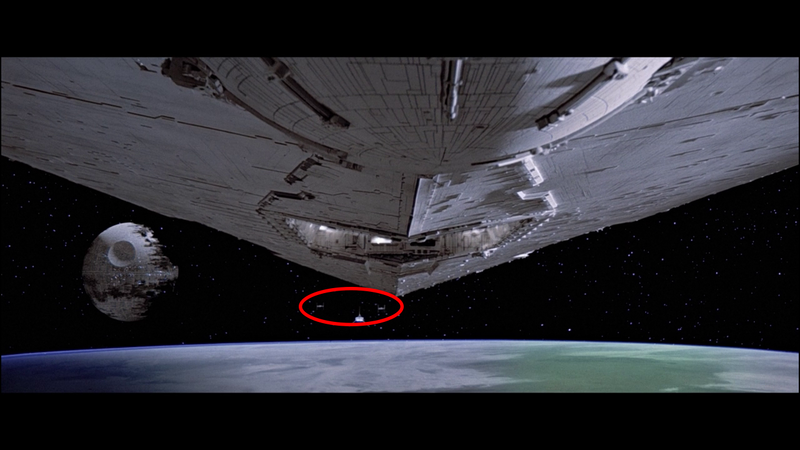 When Vaderâ€™s shuttle exits the Star Destroyer in the beginning, itâ€™s followed by two TIE fighters. 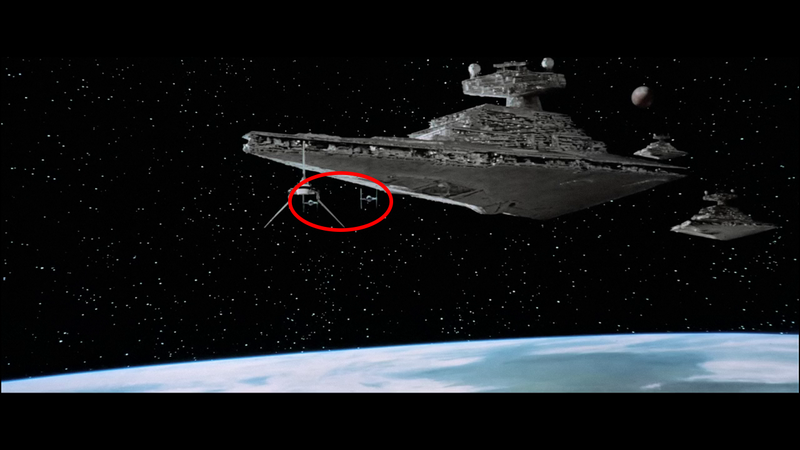 The TIE fighters are far apartfrom each other, but in the next shot, theyâ€™re close together. 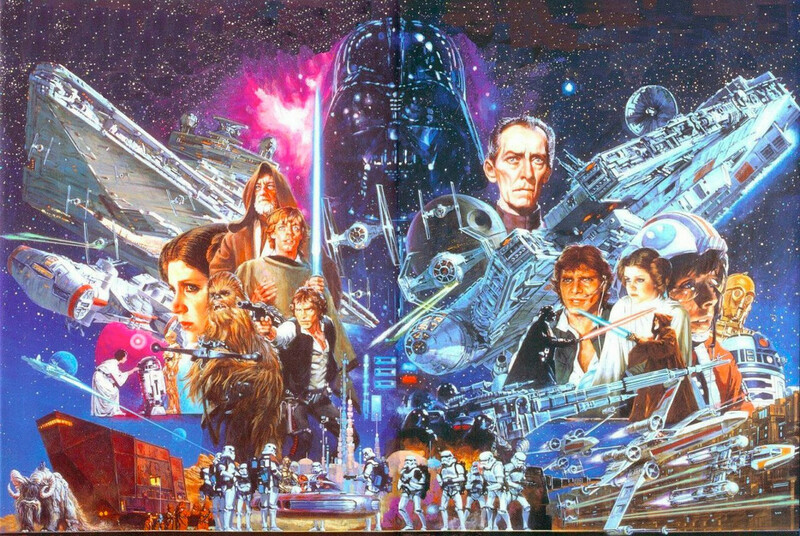 When Vader arrives at the second DS and is talking to Moff Jerjerrod saying â€œPerhaps I can find new ways to motivate them.â€� during the last two words Jerejerrodâ€™s mouth is moving as if he were talking, but nothing is heard. 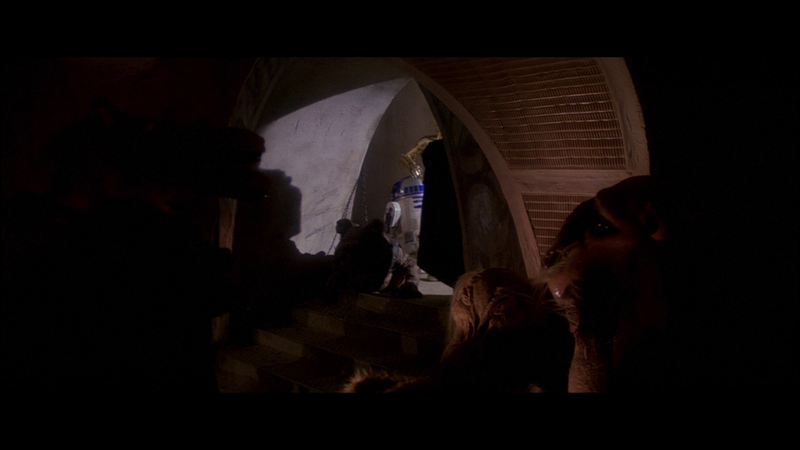 When the Gamorrean guards take Chewbacca to his cell, you can plainly see that when the guard closes the door you can only hear it close. You can still see that itâ€™s open. 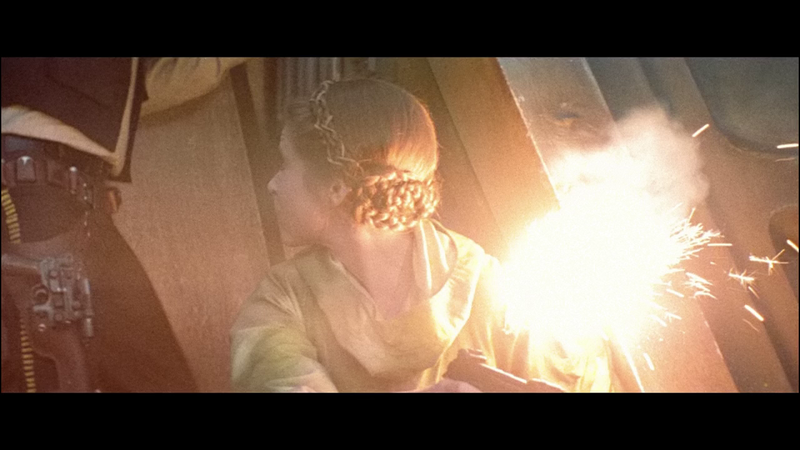 When Leia runs to the shield generator in this scene as the doors are closing she fires a shot from her blaster. 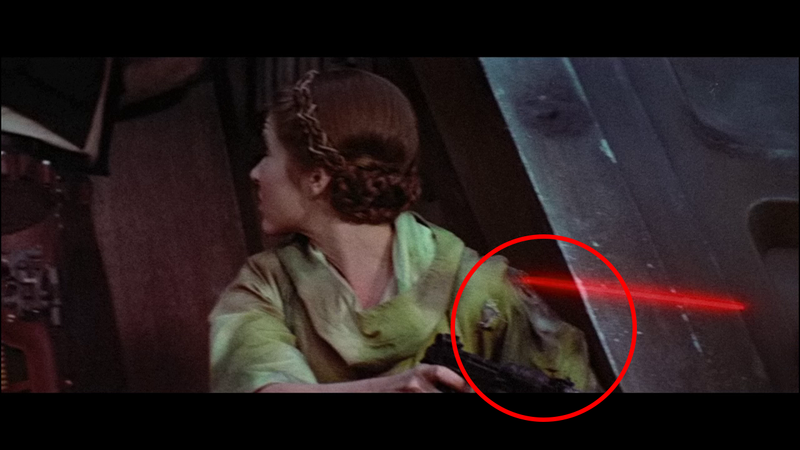 It smokes, but thereâ€™s no blaster shot coming out of the weapon or sound effect when itâ€™s fired. In this scene when Leia is shot, the burn mark is already on her poncho before sheâ€™s even shot. 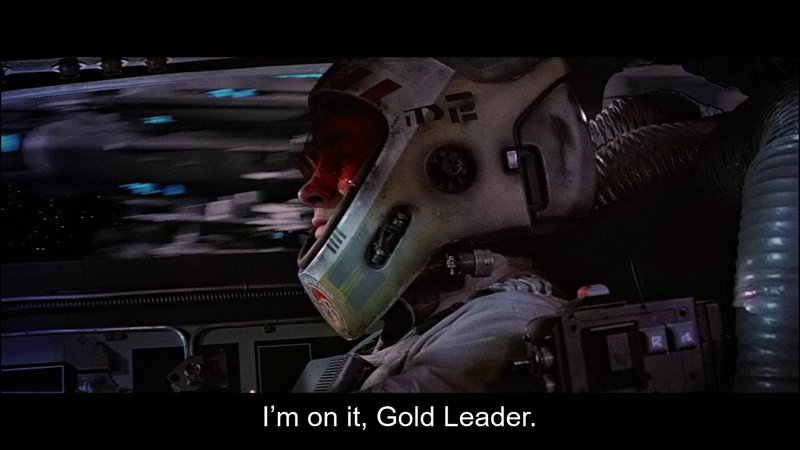 In the Space battle when Lando says â€œWatch yourself, Wedge. 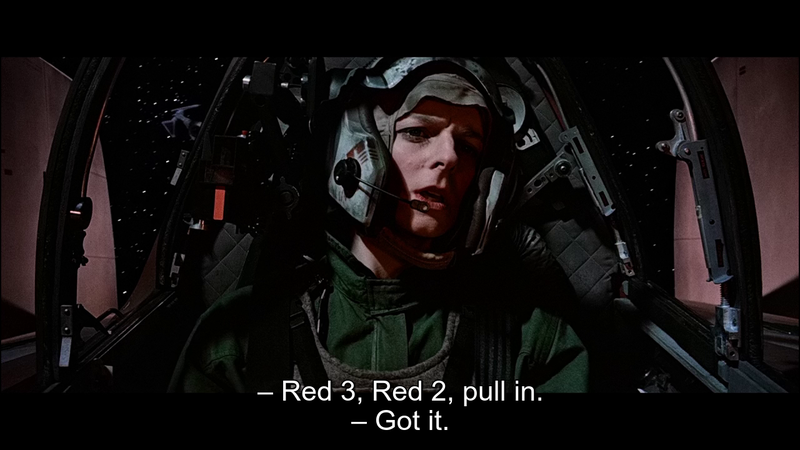 Three from above.â€� then when Wedge says â€œRed 3, Red 2, pull inâ€�, it is Green Leader who responds with â€œGot itâ€�. Not someone from Red Group. 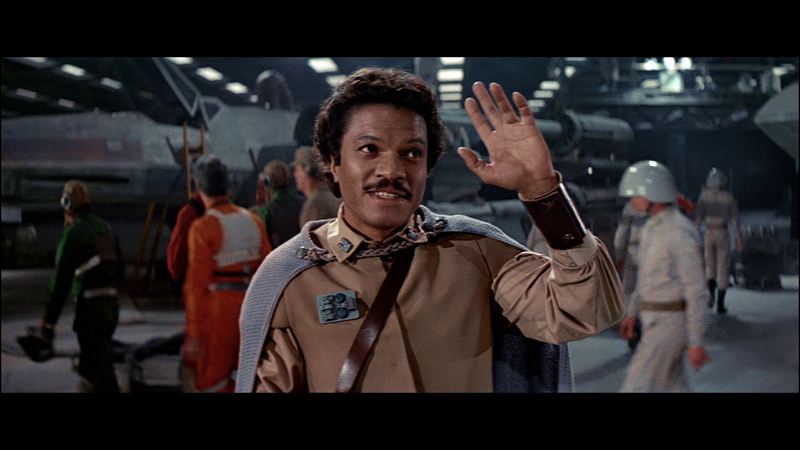 When Lando says â€œWatch out! 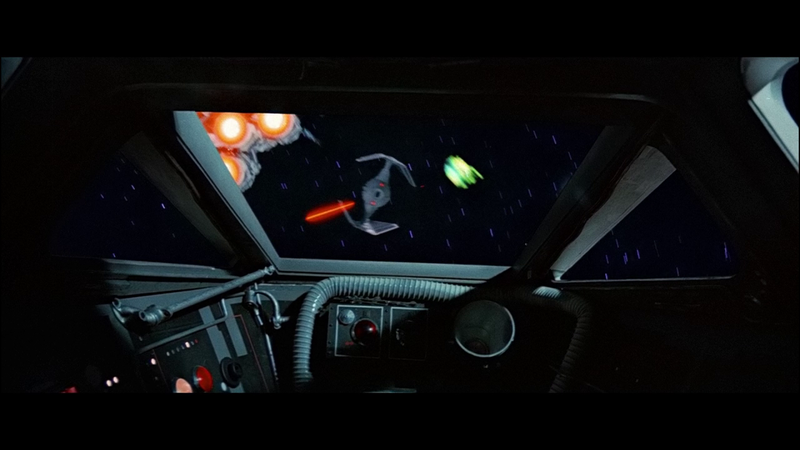 Squad at .06â€�, â€œGrey Leaderâ€� from the Y Wing squadron responds and destroys the TIE fighter. 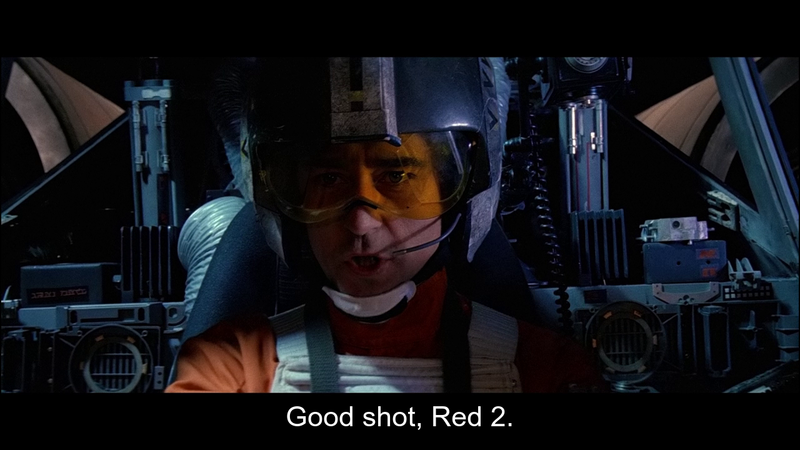 But Wedge (Red Leader) acknowledges this hit by saying â€œGood shot, Red 2â€�. 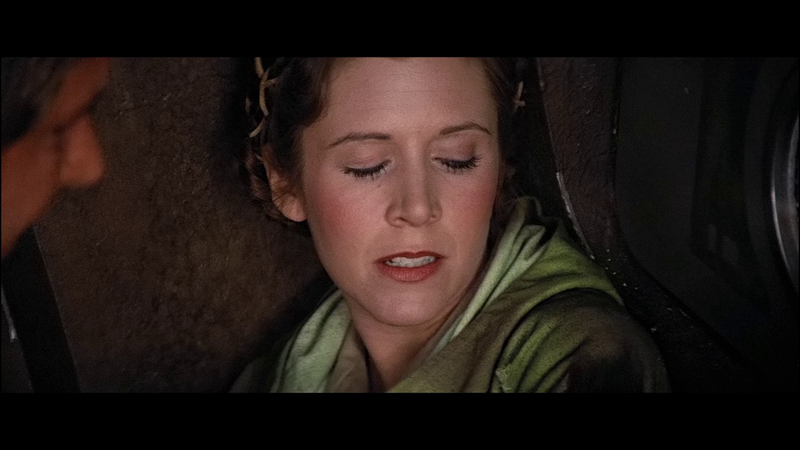 At the 33rd AFI Life Achievement Awards, Carrie Fisher is being truthfully honest about what SW has done to her life but the audience just laughs about it as if she were joking. 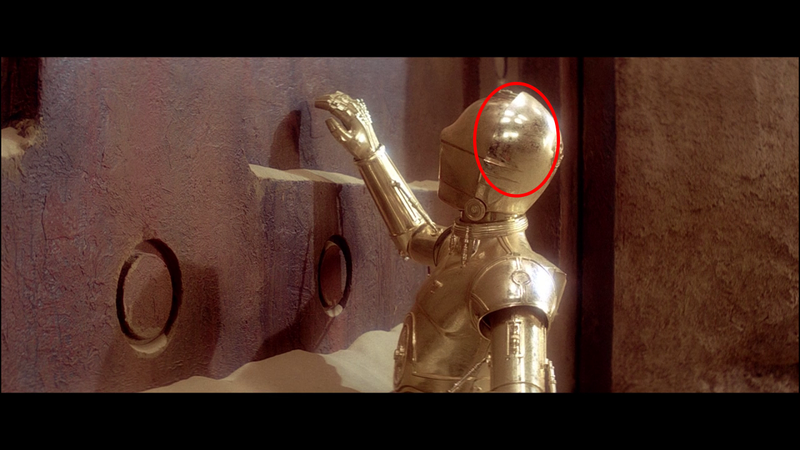 Throughout the entire scene when C-3PO and R2 are in front of Jabbaâ€™s palace gate, overhead stagelights and the other side of the set are visible in the reflection of C-3POâ€™s head. 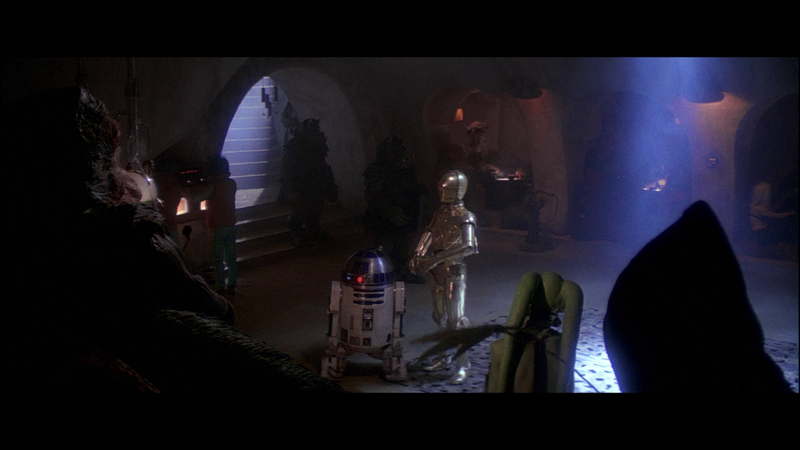 When C-3PO and R2 appear in Jabbaâ€™s throne room, C-3PO goes down a flight of stairs with R2 following him but keeps on going. 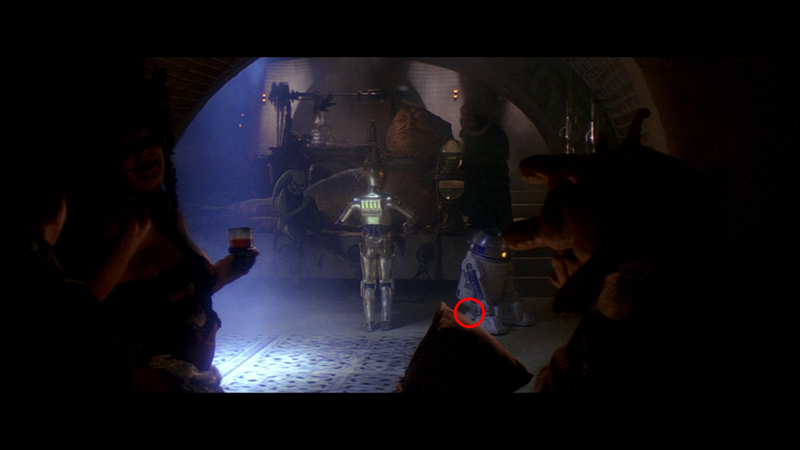 Then when he is approaching Jabba, R2 appears from the lower right corner. 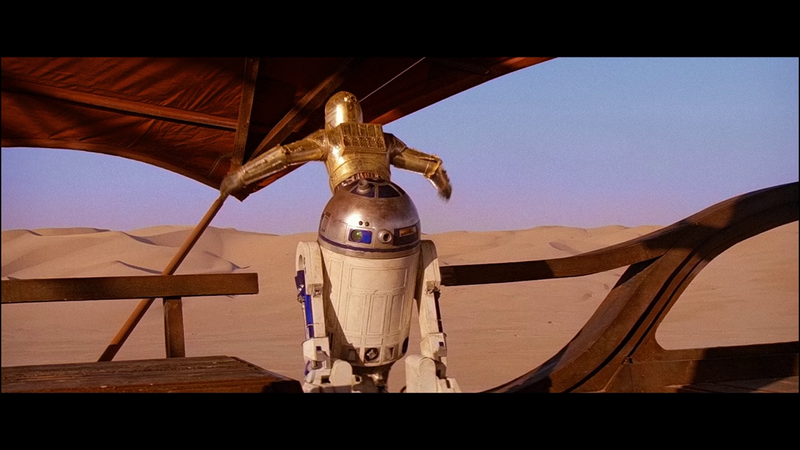 Also, when C-3PO AND R2 are approaching Jabba R2 has his third leg out; then when it cuts to the next shot itâ€™s no longer deployed. 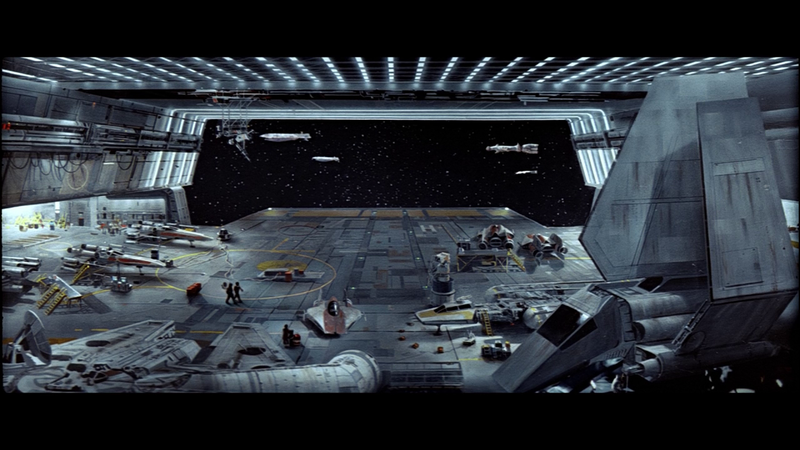 When the Emperor arrives in the second DS and is speaking to Vader and says â€œEverything is preceeding as I have forseenâ€� they are walking past a row of grey-suited officers. 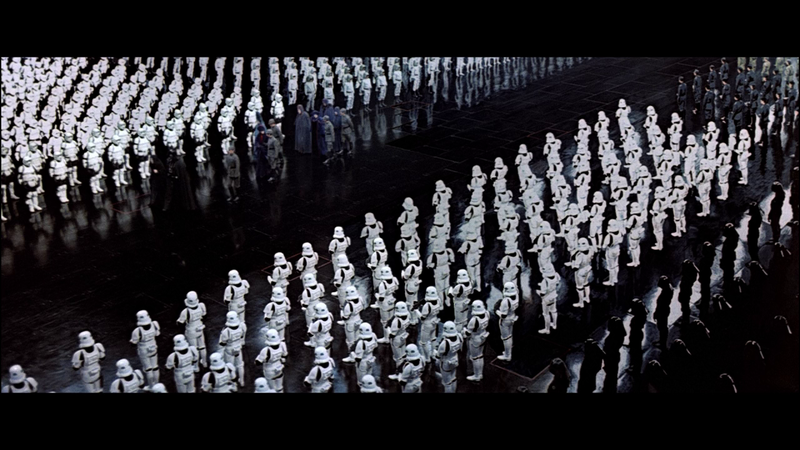 Then when it cuts to a wide-angle shot, thereâ€™re now in front of rows of stormtroopers. 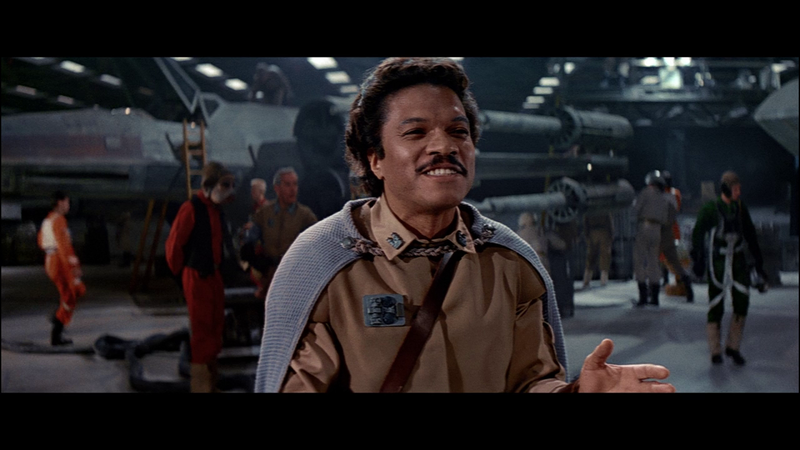 When Han and Lando are talking to each other in the rebel hanger right before they depart, Landoâ€™s gun belt across his chest changes sides during this scene showing that these shots were flipped. 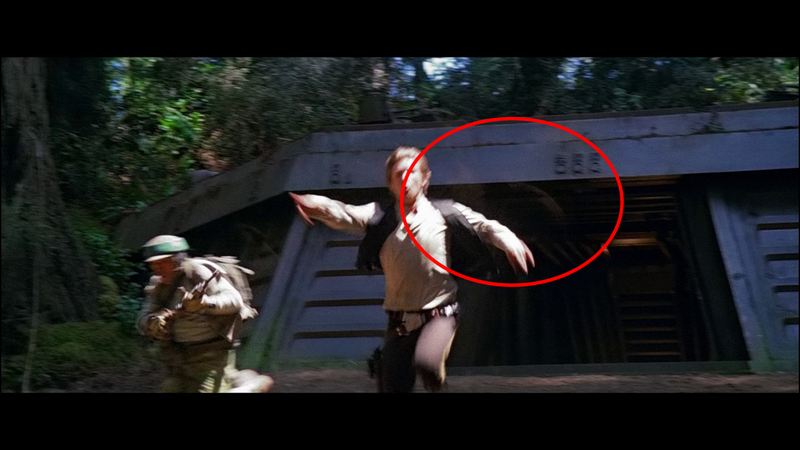 When Han is running from the shield generator thatâ€™s about to explode yelling â€˜MOVE!â€™, his reflection is visible behind him on what appears to be either a plexiglass or camera lens. 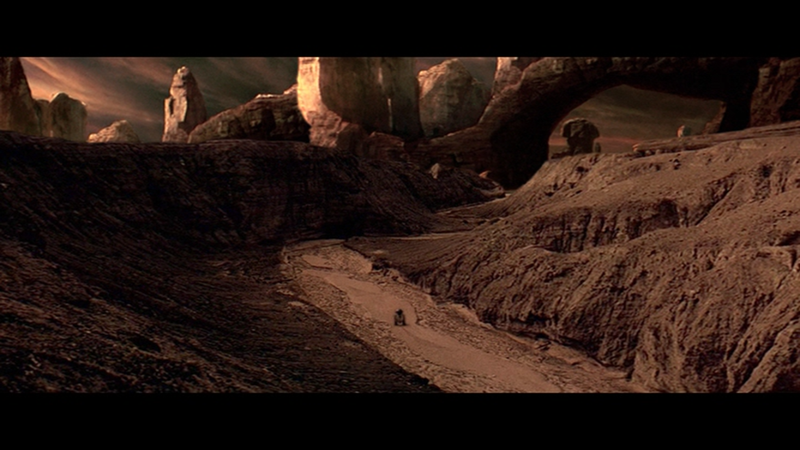 Since the PT wonâ€™t be relevant to OT:R, which canyon matte will be used for this shot that R2 travels through for ANH:RHD? During the making of the PT, there was never a moment during filming when GL would say â€œfaster and more intenseâ€�. 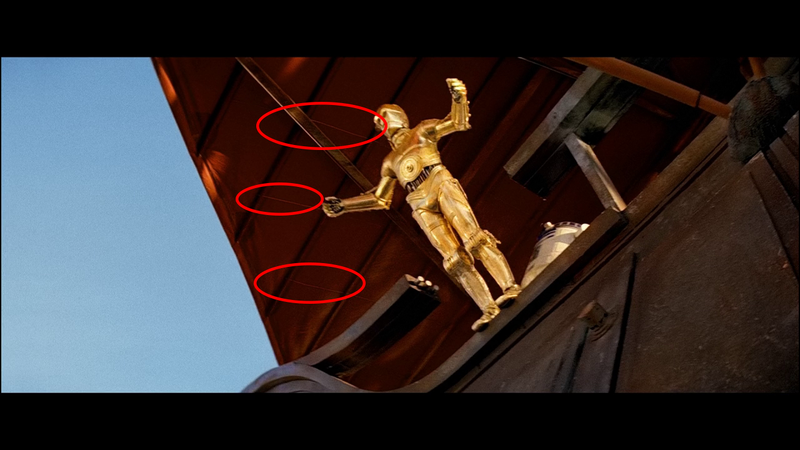 Do you think thatâ€™s where some of the acting went wrong? No matter what kind of heated arguments this community can get into, I just wanted to say I love how we can have a civil, in-depth debate on the merits of keeping or removing a characterâ€™s eyebrows. 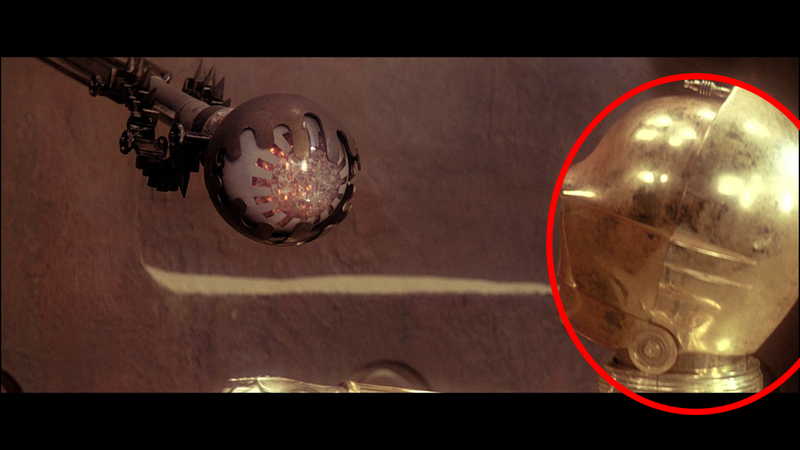 There is just one second of film in Rogue One (as he gets out of the bacta tank) where his face is visible, and he doesnâ€™t have eyebrows there. 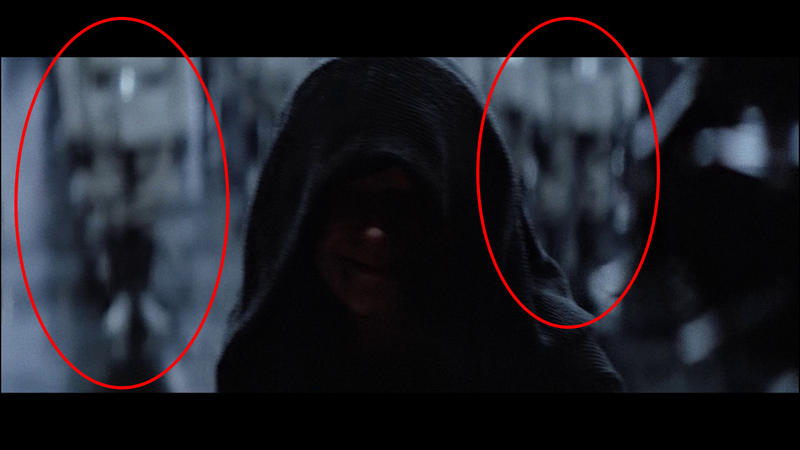 Itâ€™s about Ben and Lukeâ€™s father and Vader when they are young Jedi knights. 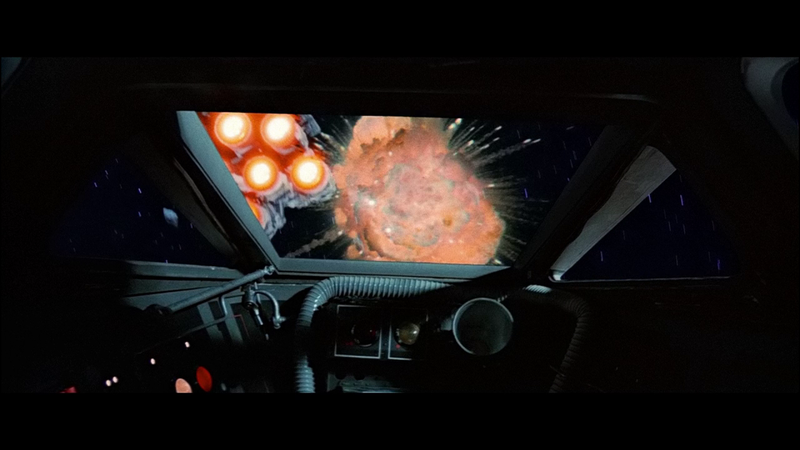 But Vader kills Lukeâ€™s father, then Ben and Vader have a confrontation, just like they have in Star Wars, and Ben almost kills Vader. 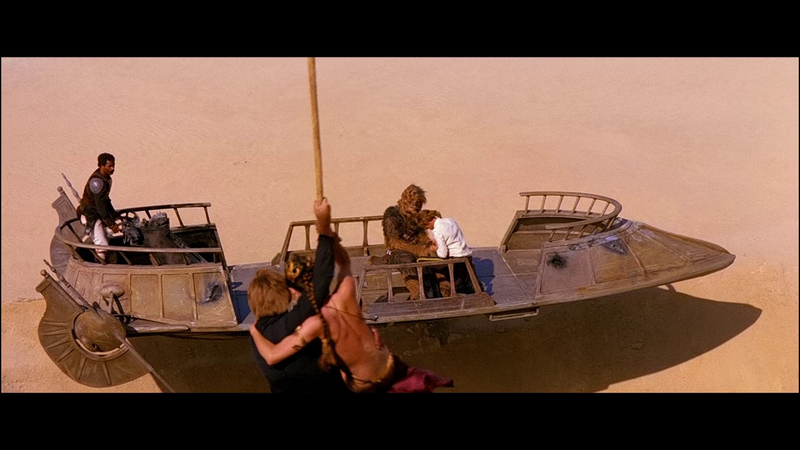 As a matter of fact, he falls into a volcanic pit and gets fried and is one destroyed being. Thatâ€™s why he has to wear the suit with a mask, because itâ€™s a breathing mask. Itâ€™s like a walking iron lung. His face is all horrible inside. 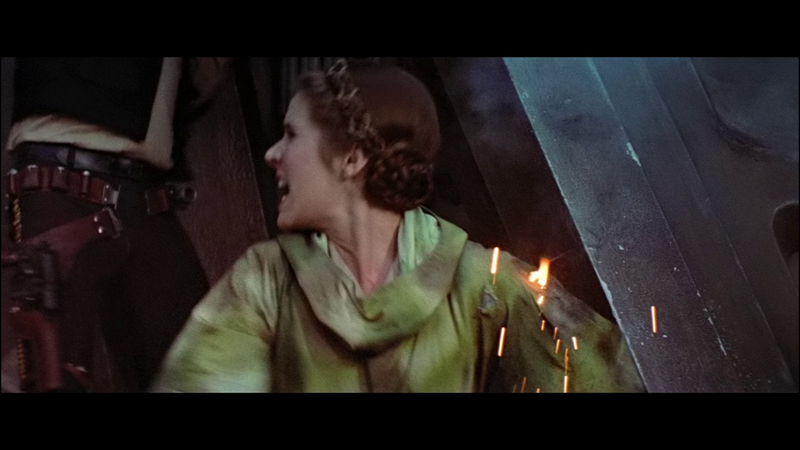 I was going to shoot a close-up of Vader where you could see the inside of his face, but then we said, no, no, it would destroy the mystique of the whole thing. Like David Letterman except it doesnâ€™t have to always be 10.